Rhizome recently published a piece I wrote entitled “Moving the Museum Online“. The piece was a critique of the Adobe Museum of Digital Media, and also served as a platform to discuss the concept of online museums, and highlight a few examples that I thought were particularly noteworthy, including the Virtual Museums of Canada, the Museum of Online Museums, the MINI Museum, and Google’s recent Art Project. 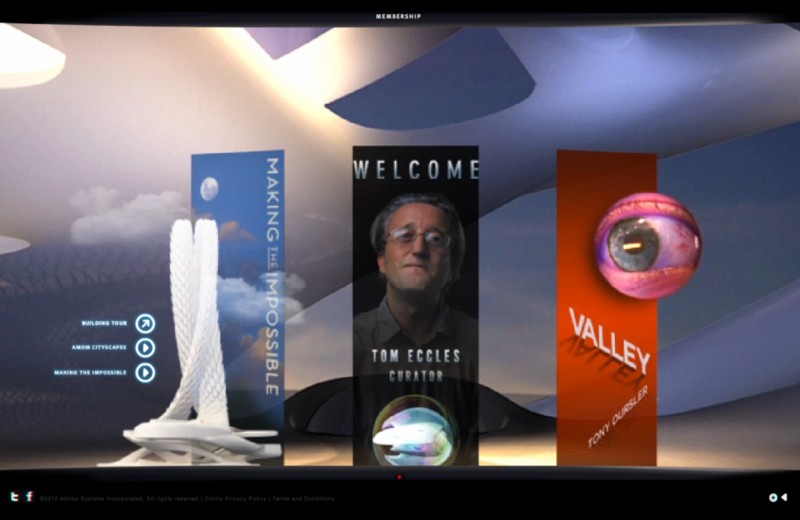 Guggenheim Virtual Museum (vintage: 2001): “The Solomon R. Guggenheim Museum has commissioned the New York firm Asymptote Architects to design and implement a new Guggenheim Museum in cyberspace. This is the first phase of a three-year initiative to construct an entirely new museum facility. The structure will be an ongoing work in process, with new sections added as older sections are renovated. The project will consist of navigable three-dimensional spatial entities accessible on the Internet as well as real-time interactive components installed at the various Guggenheim locations. muSIEum (vintage: unknown, pre-2009): This online reconfiguration of four Viennese museums “…displaying gender, criticizing the conventional hegemonial ordering of things”, and “bringing out the different storylines that could (have) been told with the same objects from a standpoint counter-acting the cultural hegemony of the patriarchal view”. An intervention that is needed not just in Vienna, I’d wager. In German only. Read Moving the Museum Online on Rhizome, and join the discussion there or send me a Tweet (@mkasprzak) with your own suggestions of other virtual museum projects that exemplify either the lack in current physical museums (as muSIEum does), an additionality (as with the Guggenheim), or a hybrid space (MIX-m).